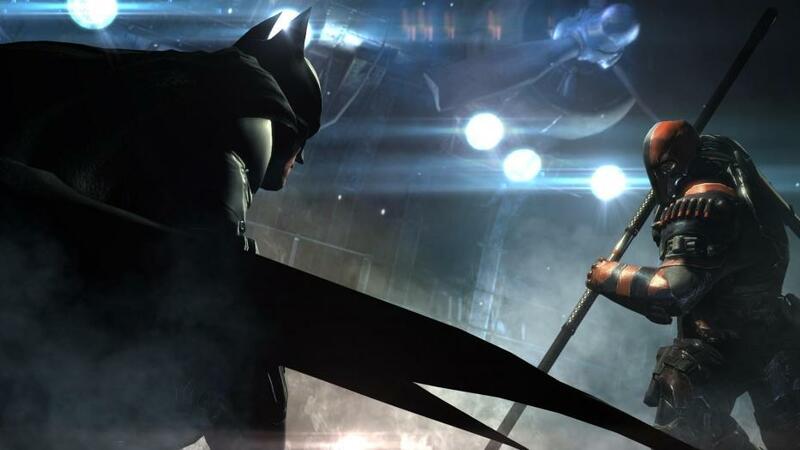 Batman: Arkham Origins takes place in the protagonist’s second year of actually being the masked vigilante known as Batman and five years before the events that take place in Batman: Arkham Asylum. Batman himself is still very new to the hero gig and therefore is not the perfected Dark Knight we see in previous Arkham video game titles. He does not know every little thing about every criminal, he does not even know every criminal out there. Batman is still learning which makes for an interesting and fresh perspective for players, setting up a new dynamic for the narrative in comparison to previous titles in the series. The game begins with a break-out at Blackgate Penitentiary on Christmas Eve. Black Mask is escaping and he plans on creating plenty of havoc while doing so. Batman enters the scene with the mindset of re-capturing Black Mask and restoring the peace, simple in-and-out procedure, but the situation ends up being much more complicated. He fails to thwart Black Mask’s escape which leads to a bounty being placed on Batman’s head and eight assassins all looking for a pay out. Batman must put an end to Black Mask’s scheme while taking out these highly trained assassins (including Deathstroke, Deadshot, and Bane) all while Alfred is back in the Batcave keeping Christmas dinner warm. 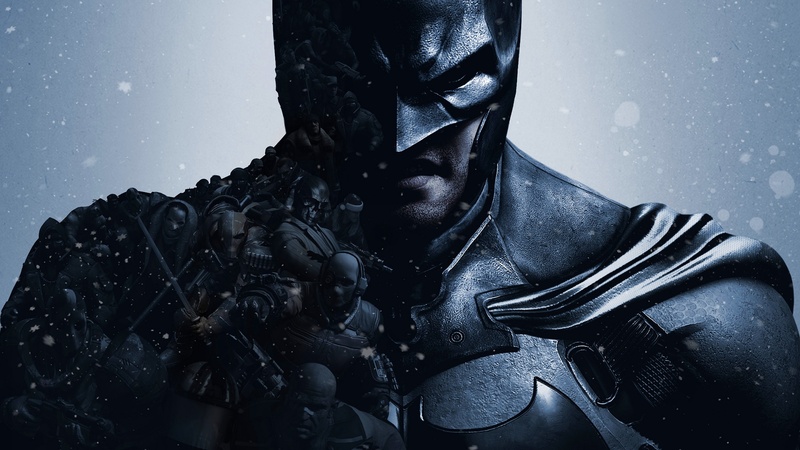 There are a couple of great themes exhibited in Arkham Origins’ narrative. One of them is the establishment of the relationship between Batman and The Joker as this game features their first encounter with one another. We see their caustic relationship begin and develop into what we see later on in other Arkham titles. Another great theme is that which takes place between Bruce Wayne (Batman) and his butler/father figure, Alfred. We see the strife that occurs between the two of them as they both learn to accept one another in their given roles. Both of these themes are done in such a fantastic way that they are worthy of note. I feel that they really give this game its substance, they make the story line way more in-depth and intriguing that either of the other games in the Arkham series. 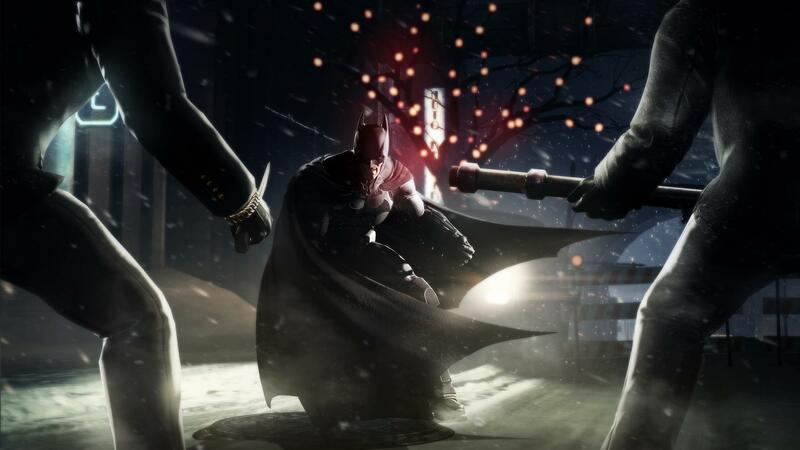 Arkham Origins features similar gameplay to that of previous titles in the series, though slightly more updated. If you happened to play Batman: Arkham City you will be very familiar with the way things work as the gameplay in Origins is most similar to that style of gameplay. Combat is made up of two separate types of combative encounters: face-to-face fist fights and predatory stealth scenarios. In the face-to-face combat you will see the punch and counter gameplay that the Arkham games have seemingly perfected. The predatory combat is much the same, though the goal is to remain unseen and focuses more on stealth tactics rather than up close and personal techniques. There are plenty of new gadgets as well as some old classics. A few of the new gadgets include the shock gloves, glue grenades (replacing the freeze grenade from Arkham City), the disrupter and the remote claw (which is sort of like a modified version of the line launcher from previous titles). The old stand-by’s include the remote control Batarang, the Batclaw, explosive gel and the cryptographic sequencer. All of these gadgets are used throughout the game in combat, while exploring the city and getting from point A to point B as well as to complete Enigma challenges. The Enigma challenges replace The Riddler challenges (though it’s the same villain). They consist of liberating Engima’s control over radio towers in certain sectors of Gotham City in order to establish fast travel points as well as collection extortion data spread out around the map. While the new system offers more of a challenge than the previous system of collecting items and scanning artifacts, I found myself longing for the Riddler trophies and challenges available in past games. As far as side objectives go Origins does feel a bit lacking in comparison to past games in the series, though I do not think that this brings the game down in any way. The side-objectives are simply different, not necessarily non-existent or not worthwhile. It is best to enter the game with an open mind and not expect things to be exactly as they were in the past Arkham games. The boss battles that take place throughout Arkham Origins consist of fighting the eight assassins sent out to kill Batman at the beginning of the game. I found this to be a nice change of pace considering the past two games featured boss battles with villains that were well-known and a bit predictable such as Mr. Freeze or Poison Ivy. Most of the assassins are known to Batman fans and Bane was a boss in past games, but even he is faced in a new light and most of the assassins are fresh new faces. Every battle is faced different and each assassin possesses a different set of skills that test Batman both physically and mentally. I felt that including lesser known villains from the Batman universe such as Lady Shiva and Copperhead was a neat addition to the game which made it seem less like a repeat of past events given the similar gameplay styles. Graphically, Arkham Origins does not bring anything new to the table though it is also not displeasing in the graphics department. The game looks great but it is not a graphical marvel in today’s gaming world. The in-game and cutscene sections look vastly different, there is a clear distinction between the two with the cutscenes looking gorgeous and the in-game graphics looking typical of most video games. The sound effects are great, we hear every punch and every criminal’s complain with great definition. I found Arkham Origins’ soundtrack particularly lovely, setting the tone for the game with a mixture of Christmas music themes and epic orchestral sections. The best feature of Origins’ presentation was the impressive voice acting talent behind both Batman and The Joker. Both characters have been typically voiced by the same two men (Kevin Conroy and Mark Hamill) throughout many media appearances, including the past two Arkham games. Due to this it seemed as if bringing two new people in to voice the much-loved roles was worrisome for many fans. Roger Craig Smith did a brilliant job of voicing Batman. His portrayal of Batman was familiar yet he was able to give nuance to the role by making it his own and giving it definition. Troy Baker’s portrayal of The Joker was truly epic. He was able to bring the terrifying and humorous aspects of the character to the surface in equal parts, really solidifying The Joker’s best and worst aspects as a character. This was both Smith and Baker’s first time voicing these two beloved characters and I think they both did an outstanding job. 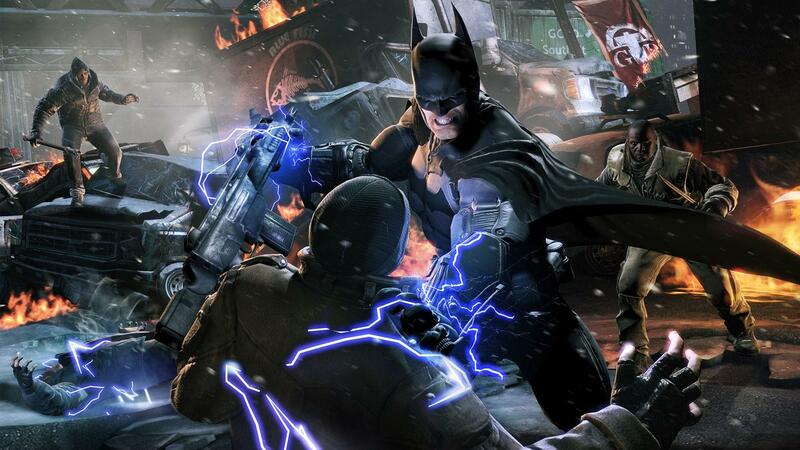 Many folks experienced some game-breaking glitches and bugs around the release of Arkham Origins. I was one of the lucky few who experienced very few glitches, making my experience a breeze, though this did turn many off of the game. A patch was released that resolved many of the issues so at this point there should be very few bugs across the board. Overall, I found myself loving this game. As a Batman fan I really enjoyed seeing these events unfold as a younger Batman must learn to adapt and be dynamic in relation to them. Batman is faced with one of his greatest challenges in this game and seeing him develop as a character was truly amazing, a testament to the game’s development team as well as the voice actors, writers, and artists. Previous Previous post: TLOU: Is David Really So Evil?